Wynsong, 66’ Viking, takes the Hardware! 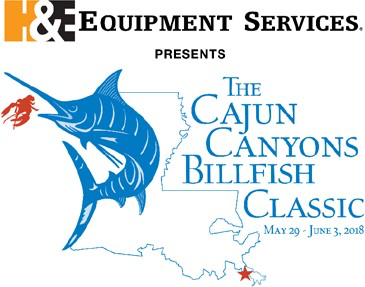 The 14th Annual Cajun Canyons Billfish Classic, presented by H&E Equipment Services, the second leg of The Gulf Coast Triple Crown Championship, is now in the record books. 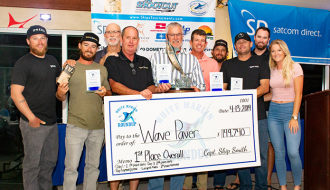 With a fleet of 46 boats, ranging in length from 32′ to 95′, our participants fished for a total purse of $662,400.00, plus trophies and prizes. Our festivities started Tuesday evening, May 29, with our Dock Party, sponsored by our host facility, Cypress Cove Lodge & Marina. Everyone enjoyed the boiled shrimp, smoked pork, and of course, the bread pudding. A good time was had by all. Wednesday, May 30, was our official Registration Day, Captains Meeting, and Kick-Off Party. As usual, we were slammed with last minute arrivals of boats due to the weather that came in over the Memorial Day weekend. Acme Oyster House lived up to their reputation at our Kick-Off Party, sponsored by our friends at Le Beouf Towing, with seafood pasta, oyster bar, fried fish and all the trimmings. Thank you Acme and LeBeouf Towing! Thursday, May 31, started a little slow (as a result of too much fun Wednesday night maybe?). Optional entries closed at 11:00 am with a total purse of $662,400.00. Father Gerry Stapleton from St. Patrick’s Cathedral of Port Sulphur, Louisiana visited to continue our tradition of the Blessing of the Fleet. At 1:00 pm, boats departed for the river, the rip, rigs, Mississippi Canyon and Green Canyon in the Gulf of Mexico, led by Chasin Tail an 80′ Weaver, with owner John Engquist of H&E Equipment Services and Captain Clayt James and crew. 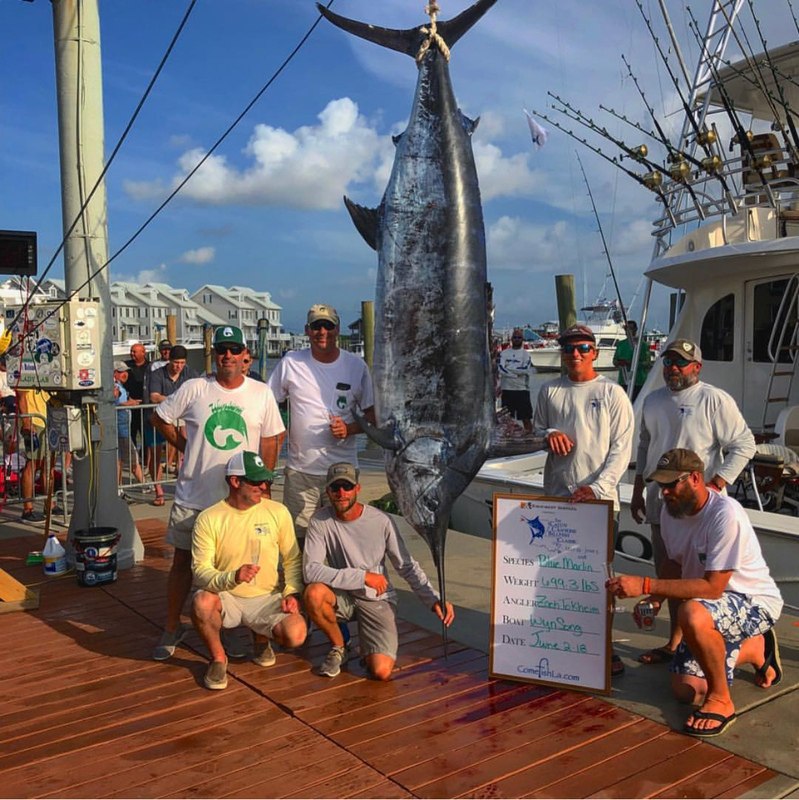 The phones started ringing early Thursday afternoon with Carrie Gerber-Collins, fishing on the 64’ Tribute, Cut N Run, calling in a White Marlin release at 4:38 pm. This was followed quickly by Jr. Angler, Ryan Cooper, age 15, fishing with his dad Scott Cooper on their 37’ Freeman catamaran, Triple C, calling in a Blue Marlin release at 5:55 pm. Maybe the bite was going to be good. 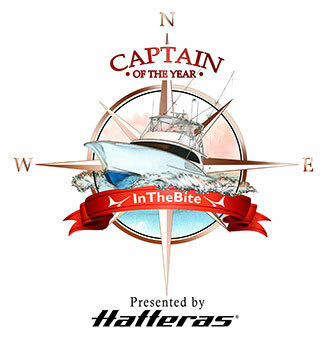 Next, owner/angler John Engquist, of H&E Equipment Services, our Presenting Sponsor, fishing on his 80’ Weaver, Chasin Tail, with Captain Clayt James calling in a Blue Marlin release at 6:25 pm. Friday, June 1, our phones started ringing at 8:13 am, with Team Reel Addiction, Rocky Jones’ 56’ Viking, with Captain Scooter Porto reporting a 111” Blue Marlin in the cockpit for angler Tyler Massey, and heading to the scales. When they weighed in at Cypress Cove Marina, it tipped the scales at 545 lbs. Then, the phones started blowing up with 18 more Blue Marlin releases, including Captain Robbie Doggett on the 95’ Jim Smith, Relentless Pursuit, with owner Dennis Pasentine having 3 Blue Marlin releases and multiple boats with 2 releases. Also, Second Wind, a 68’ Viking with Captain Marlin Brown and owner Mitch Jurisitch calling in a boated 110” Blue Marlin for angler David Schaefer heading to the scales. Second Wind’s Blue Marlin weighed in at 488.9 lbs. At 6:30 pm, A Work of Art, a 92’ Viking with owner Art Favre and Captain Ron Woodruff called in a 117” Blue Marlin for angler Kevin Courville, but they chose to stay out fishing and come in on Saturday. When A Work of Art came in, their Blue Marlin weighed in at 521.3 lbs. Saturday, June 2, started out a little slow until the 66’ Viking, Wynsong, owned by Will Wilson with Captain Allen Staples calling in a hook up for angler Zach Tokheim. All they could say is it a BIG one. 5 ½ hours later, Wynsong, reported a really fat 117” Blue Marlin in the cockpit! During Saturday, the 70’ Viking, Done Deal, with sponsor/owner Jon Gonsoulin and Captain Jason Buck had called in 2 Blue Marlin releases for Jon’s daughter, Katie Gonsoulin (another gold cap special). 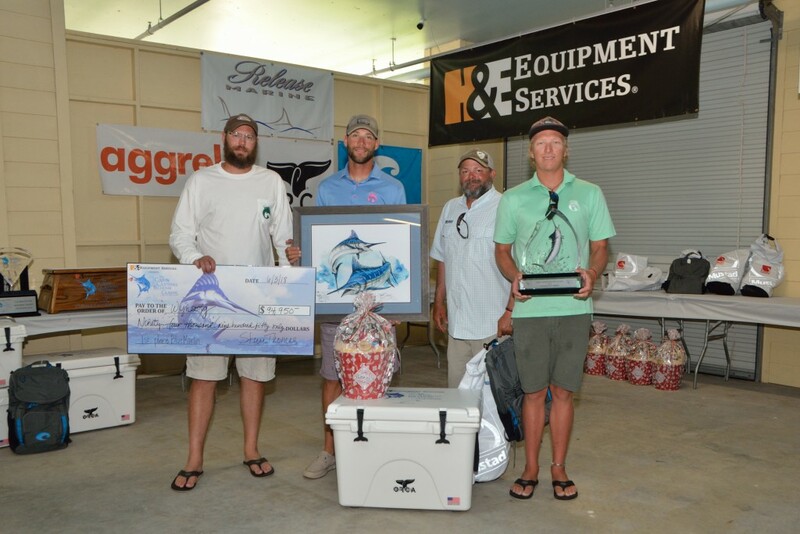 Wynsong backed in and their Blue Marlin weighed in at 699.3 lbs to take over 1st Place, putting Reel Addiction in 2nd Place at 545 lbs, with A Work of Art coming in with 3rd Place at 521.3 lbs. 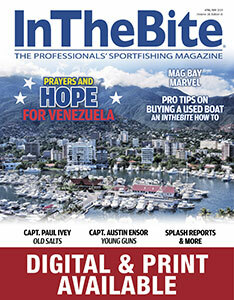 in our Blue Marlin Division. Our Top Billfish Boat Award, the Bob Potter Memorial Award went to Team Wynsong with 3 Blue Marlin releases and a 699.3 lb Blue Marlin for 2199.3 points. 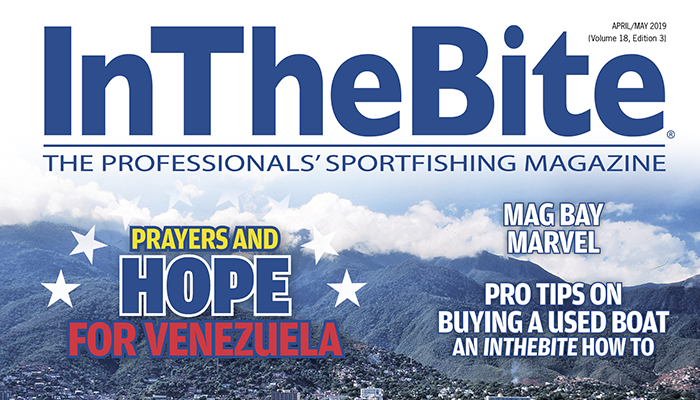 With the Top Billfish Boat Award came an invitation to fish the Offshore World Championship in 2018 in Quepos, Costa Rica, produced by Marlin Magazine and Bonnier Corporation. Top Captain and Top Mate trophies, in Memory of Benny Collins, were presented to Captain Allen Staples and Mate Caleb Brown of the Wynsong. 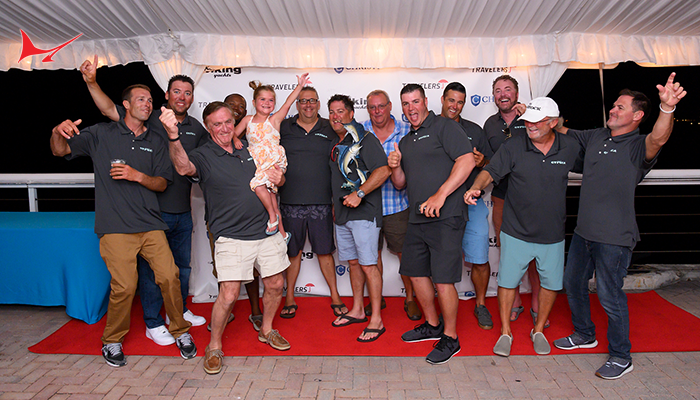 Congratulations goes to Team Wynsong taking 1st Place Blue Marlin, 2nd Place Release, 1st Place Tuna, Top Billfish Boat, along with Top Captain and Top Mate prizes, winning them a total of $157,680.00. 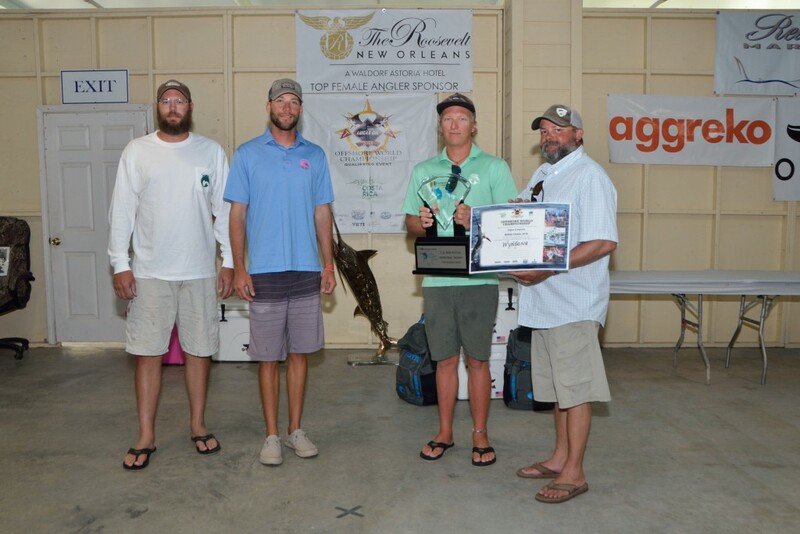 Our Top Money Boat was Relentless Pursuit, taking 1st Place Release, and multiple Tuna jackpots for a total purse of $164,070.00. Our Top Female Angler Award, sponsored by The Roosevelt Hotel of New Orleans, went to Katie Gonsoulin, fishing with her dad, Jon Gonsoulin on their 70’ Viking, Done Deal, with 2 Blue Marlin releases for a total of 1,000 points. Our Top Youth Angler Trophy, in Memory of Jim Peachey, was awarded to 15 year old Ryan Cooper, fishing with his dad Scott Cooper on their 37’ Freeman, Triple C. Ryan had a Blue Marlin release, a White Marlin release, and 1st Place Wahoo at 40.3 lbs, along with a 33.9 lb Dolphin. 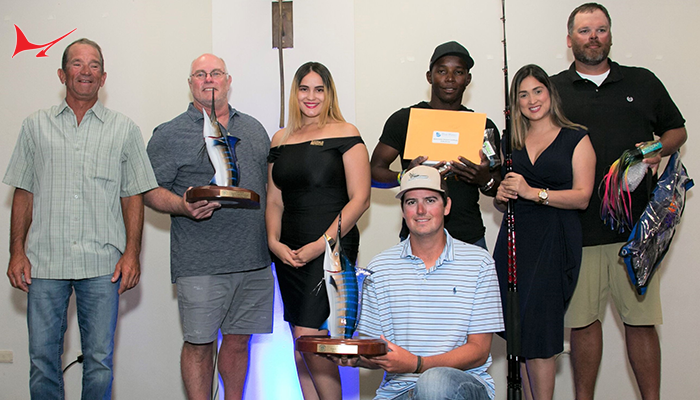 All our winning Captains received Mustad gift bags with loads of prizes from Costa Sunglasses, Professional Sports Shop, comefishla.com, Squidnation, CAZA Offshore, and the Billfish Foundation. 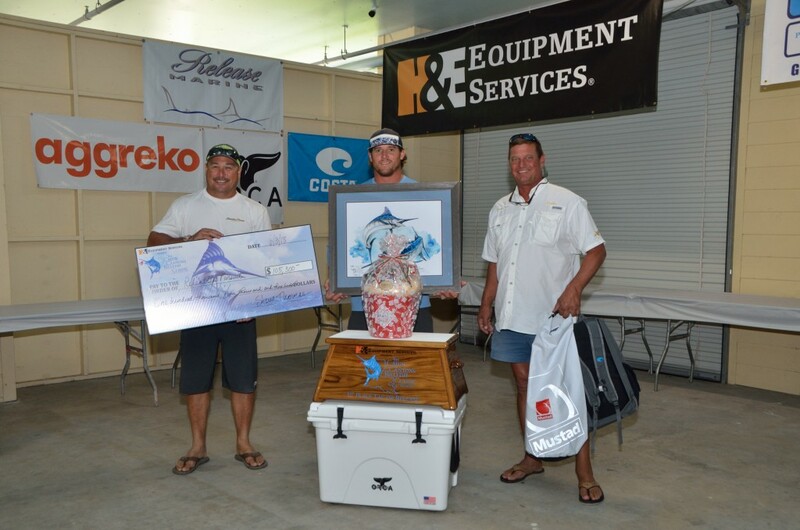 Our 1st Place winners, along with Top Female Angler, Top Youth Angler, also received custom remarked prints from our Official Artist Steve Goione, gorgeous custom logo Orca Coolers, in addition to their Mustad and Costa gift bags. 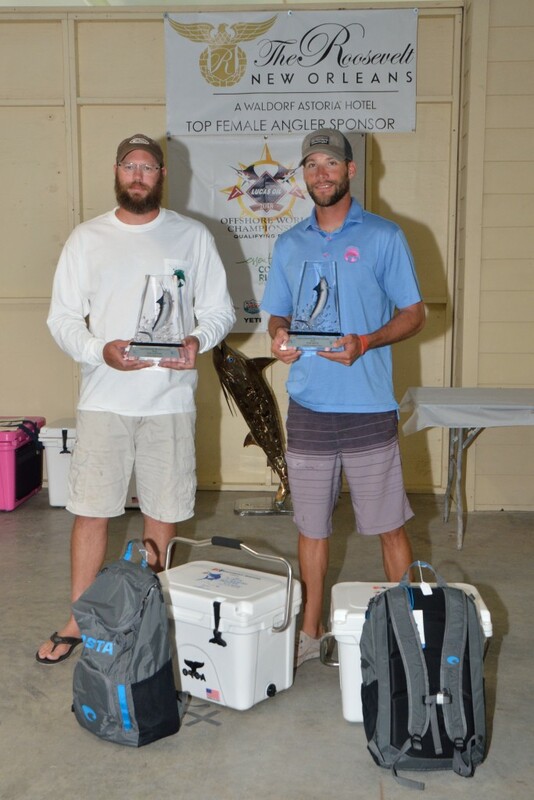 Our Top Captain and Top Mate also received custom logo Orca Coolers, in addition to their Mustad and Costa prize bags. Saturday evening, Acme Oyster House put out their spread again of wonderful Cajun food and desserts, hosted by our friends at Florida Marine Transporters. Thank you Acme and Florida Marine Transporters! Sunday morning, our Awards Breakfast was hosted by our Presenting Sponsor H&E Equipment Services with food by Cypress Cove Grill–thank you Charlotte and Rene! Our fleet had a good bite with 26 Blue Marlin releases, 4 White Marlin releases and 2 Sailfish Releases, with 4 boated Blue Marlin. 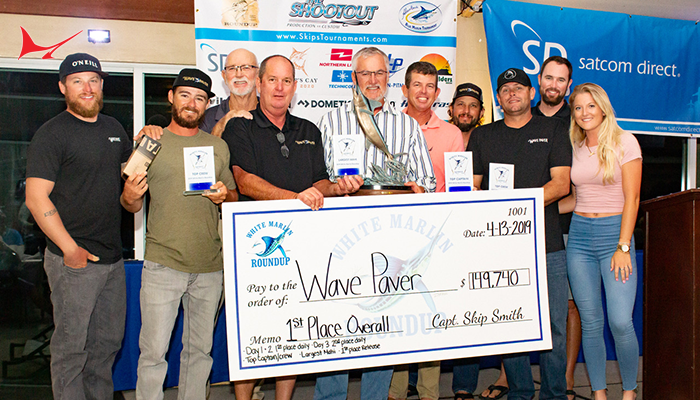 We would like to thank our wonderful sponsors, new and old participants, and the staff of both Cypress Cove Marina & Lodge and Venice Marina along with our tournament staff for a wonderful week in southern Plaquemines Parish! See you in Venice next year or trolling the rip. Thank goodness Tropical Depression Alberto went East! 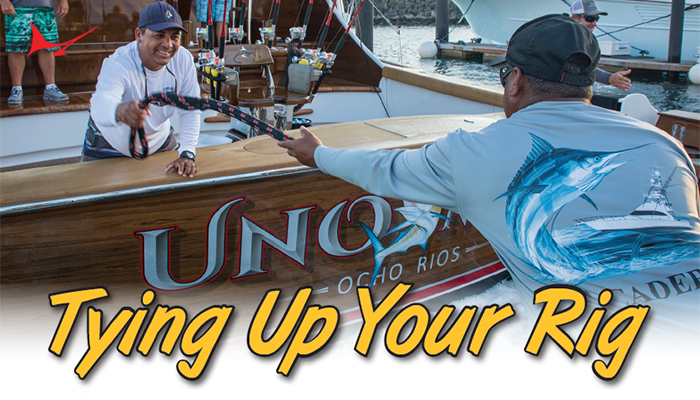 Best of luck to everyone fishing the Gulf of Mexico tournament circuit this summer!